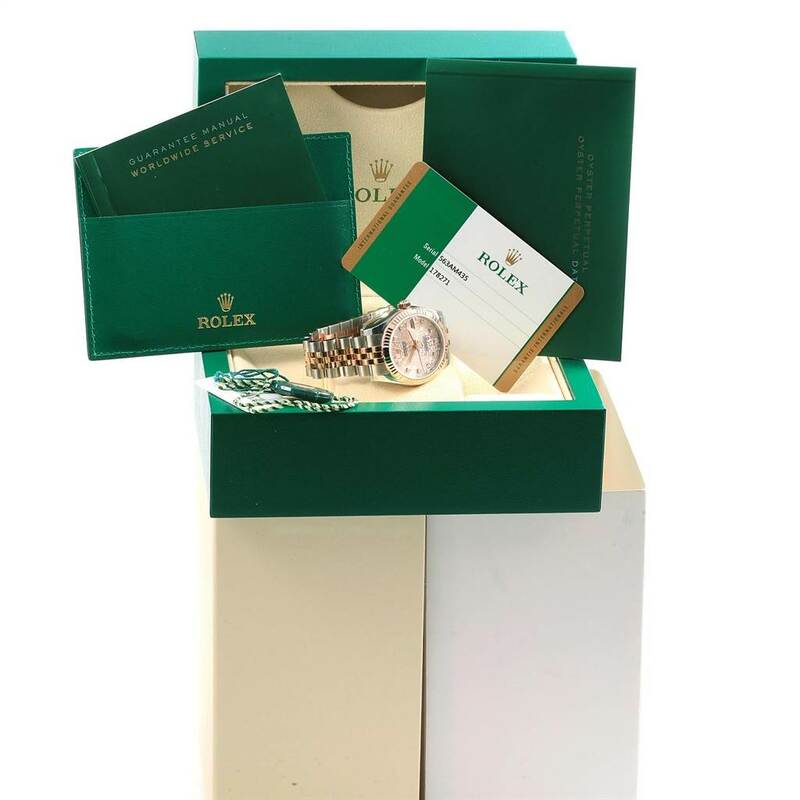 Save Additional $308.70 When Paying With Bank Wire. You pay $9,981.30. Stainless steel oyster case 31 mm in diameter. 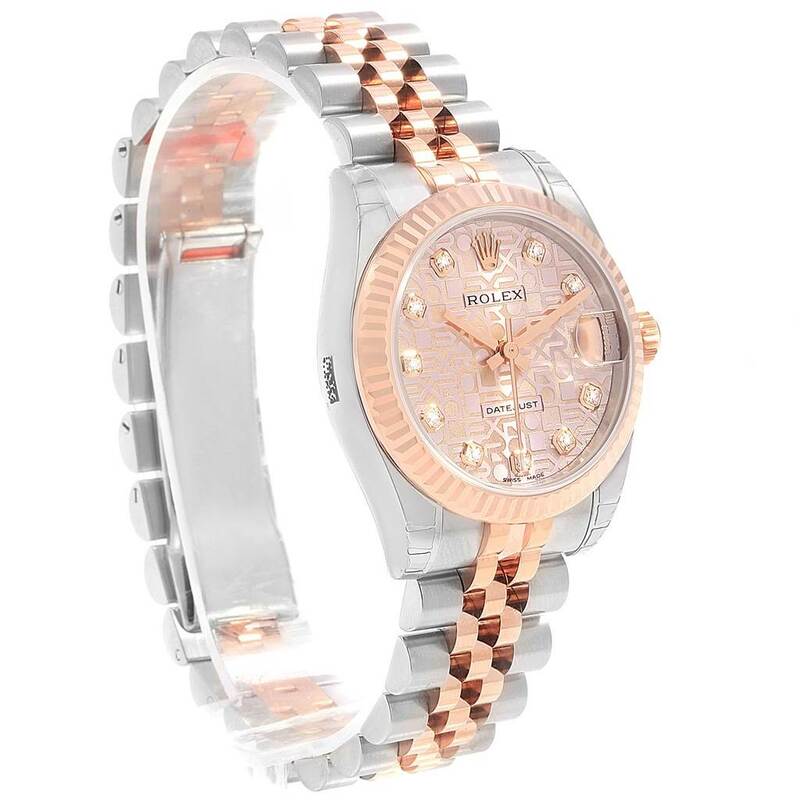 Rolex logo on 18K rose gold crown. 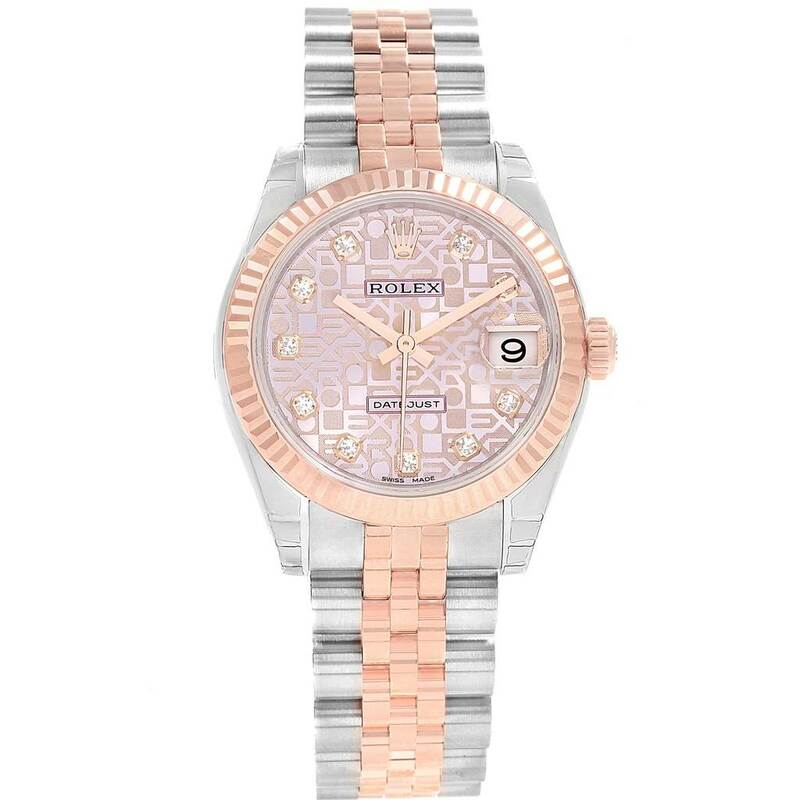 Pink Jubilee Anniversary dial with original Rolex factory diamond hour markers. Date calendar at 3 o'clock aperture. 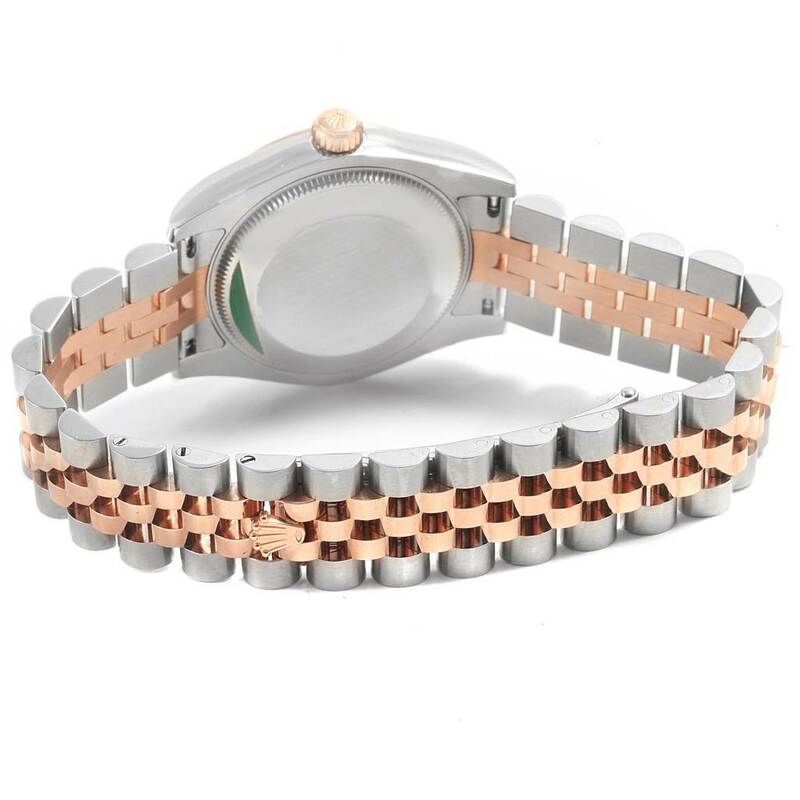 Stainless steel and 18k rose gold jubilee bracelet with hidden clasp. 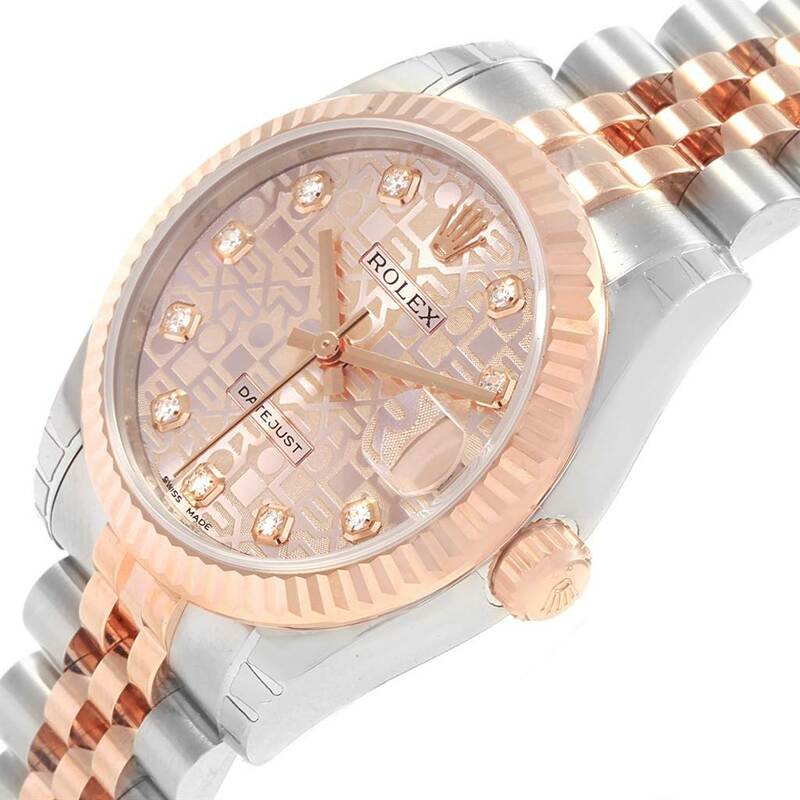 Rolex Datejust Midsize Steel Rose Gold Diamond Ladies Watch 178271 Unworn. 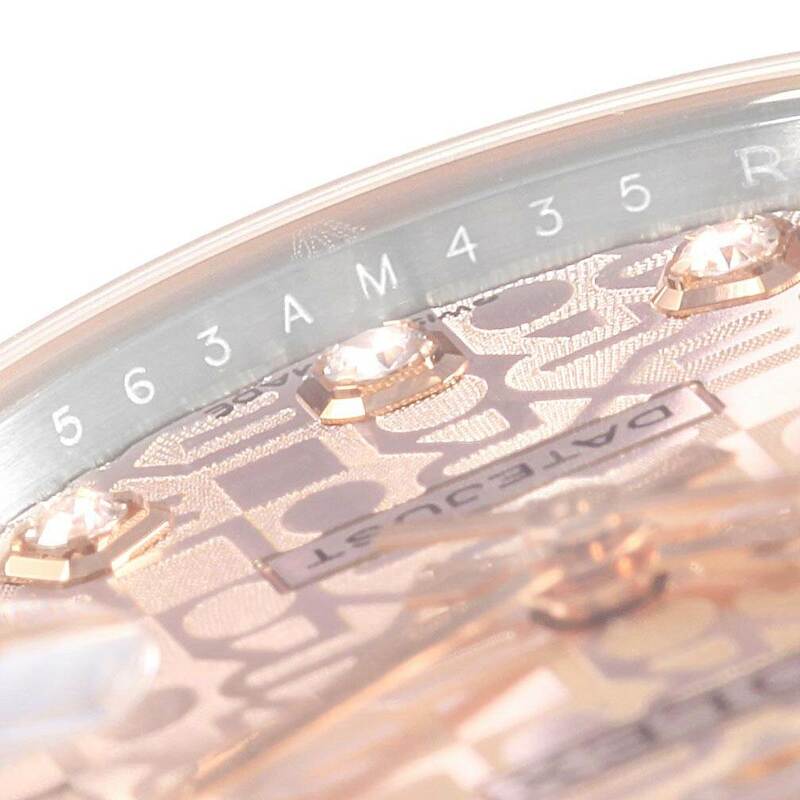 Officially certified chronometer automatic self-winding movement. 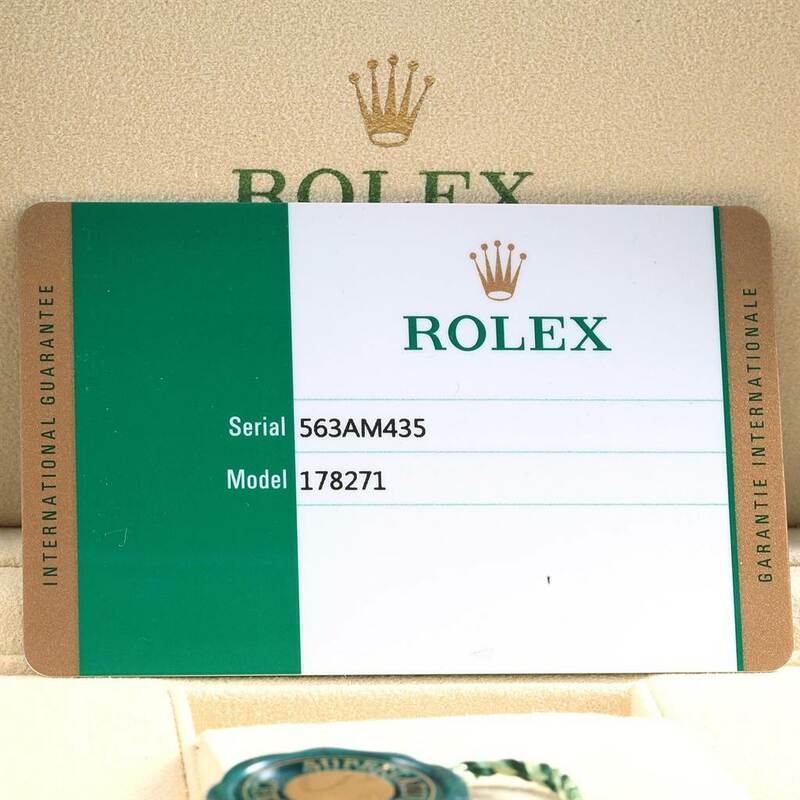 Stainless steel oyster case 31 mm in diameter. 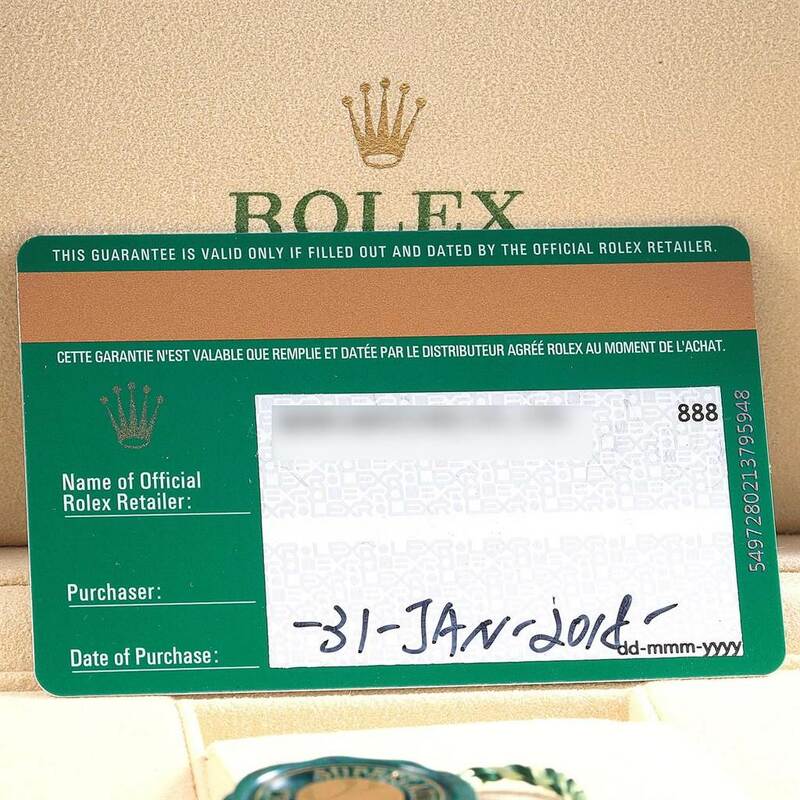 Rolex logo on 18K rose gold crown. 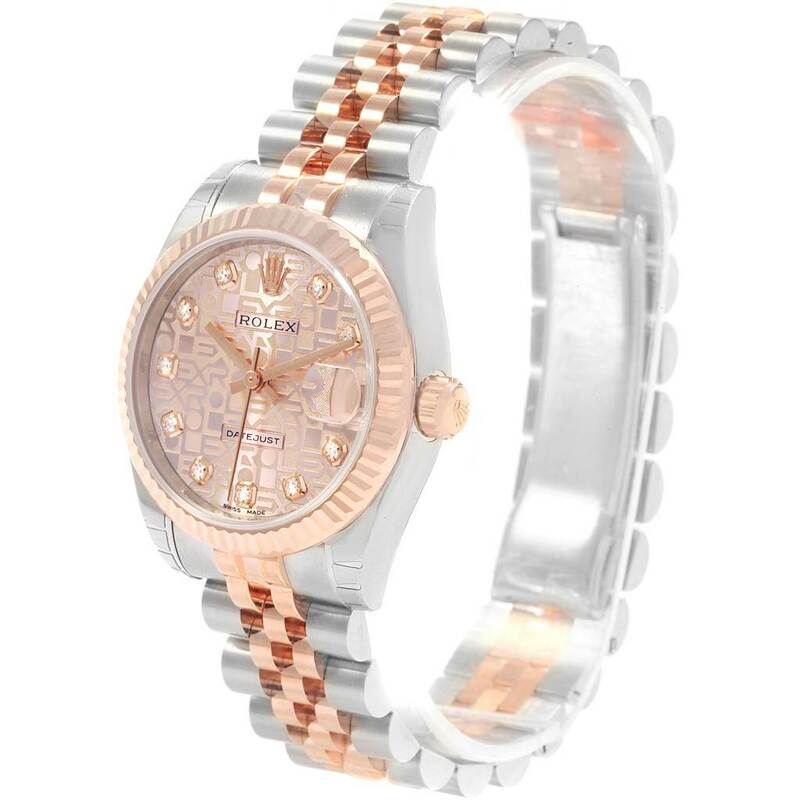 18k rose gold fluted bezel. Scratch resistant sapphire crystal with cyclops magnifier. 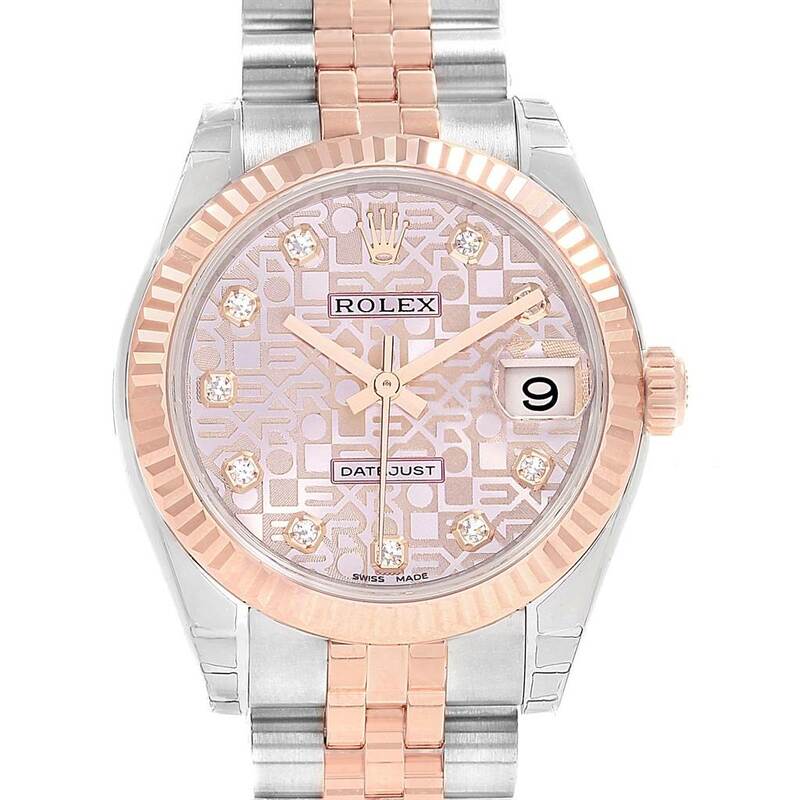 Pink Jubilee Anniversary dial with original Rolex factory diamond hour markers. Date calendar at 3 o'clock aperture. 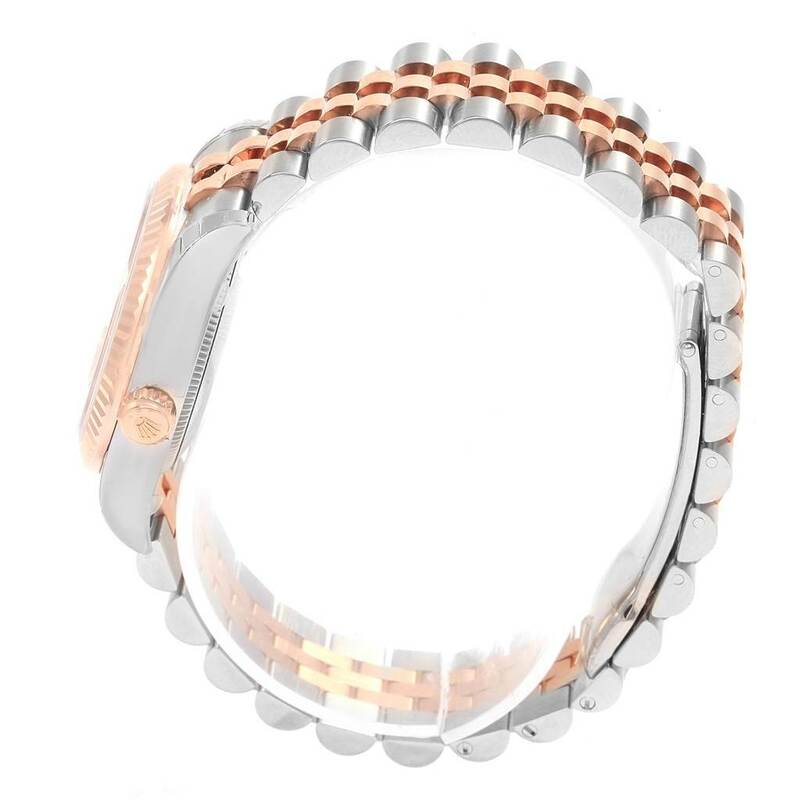 Stainless steel and 18k rose gold jubilee bracelet with hidden clasp.